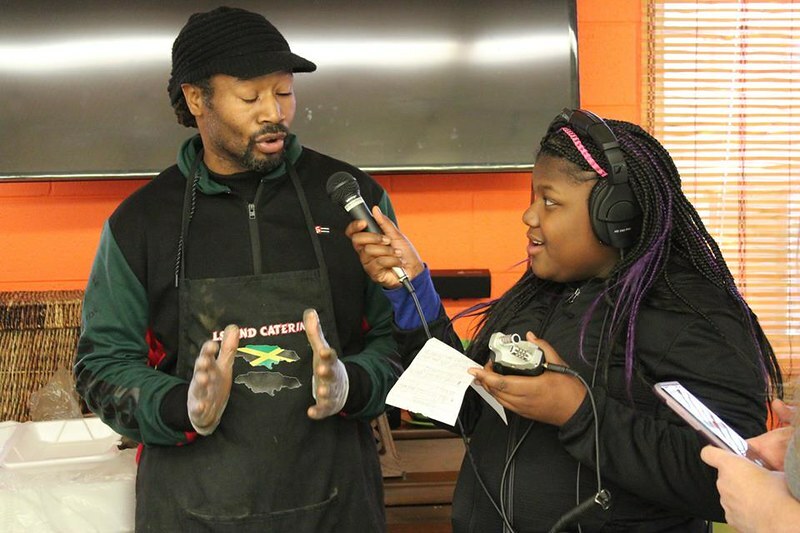 Middle schoolers from the East End learned the ropes of radio production through our collaborative program with the Neighborhood Resource Center and WRIR! Last year, they even recorded a podcast that aired on WRIR 97.3 fm radio featuring heart-warming conversations with our young artists and their families :). 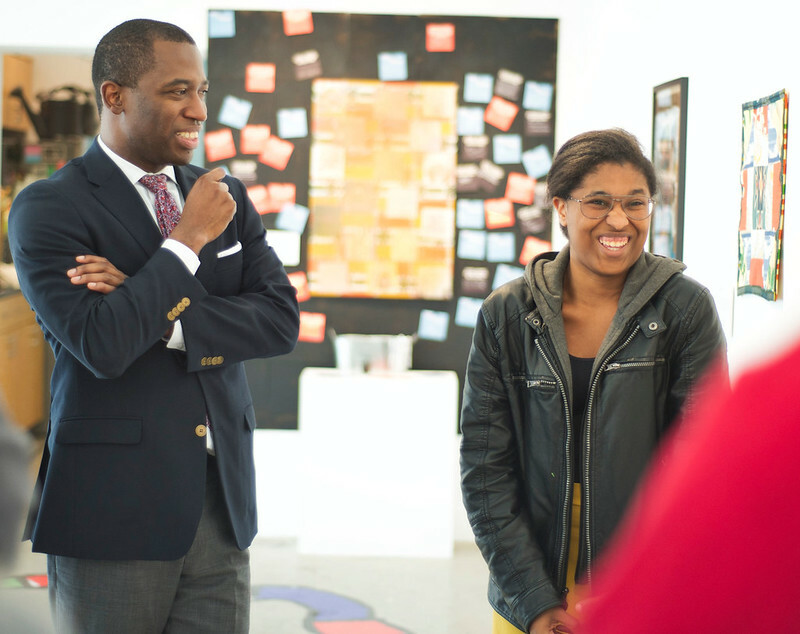 Our young people interrogated racism and oppression through a trauma sensitive arts integration project called Massive Resilience, and then presented their art to Mayor Levar Stoney, as well as Members of Superintendent Jason Kamras' Leadership Team Harry Hughes and Michelle Hudacsko! 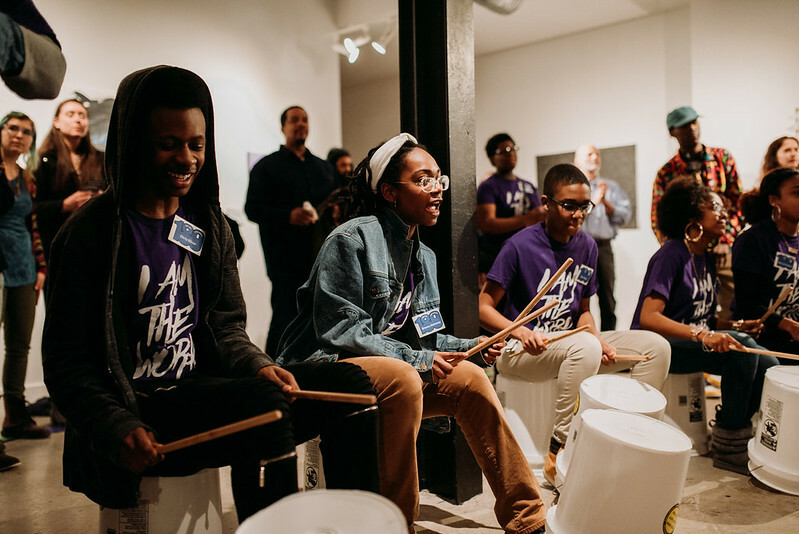 They even discussed with the leaders the project's purpose: to stimulate creative thinking, transform community perceptions, and provide young people with a creative process to interpret the root causes of racial conflict within American society. 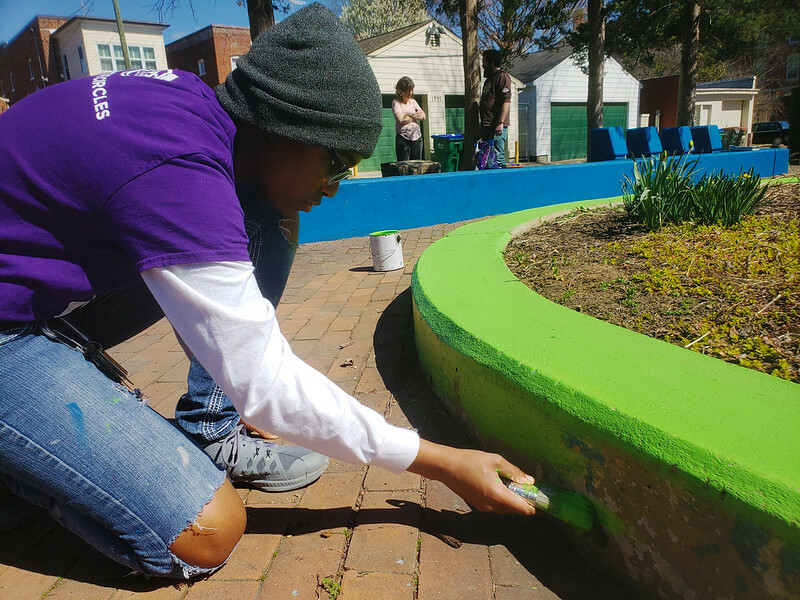 Our Teen Leadership Council gained so many invaluable experiences from their Massive Resilience project. They walked the Trail of Enslaved Africans, participated in drumming and peacemaking circles with the Junkyard Jam master himself Ram Bhagat, engaged in deep coversations about racial healing, and of course, created powerful art that showcased a community history around Richmond’s role in the transatlantic slave trade. Their exhibition that opened last month encouraged thought and conversation around racism that still exists today, 400 years after the first enslaved Africans were forced to come to our country. And the exhibit recieved such an overwhelmingly warm reception from the community it's moving next to the Black History Museum in September! Be sure to stop by and check it out this fall!